(French: Dominique) officially the Commonwealth of Dominica, is an island nation in the Caribbean . To the north-northwest lies Guadeloupe, to the southeast Martinique. Its size is 754 square kilometres (291 sq mi) and the highest point in the country is Morne Diablotins, which has an elevation of 1,447 metres (4,750 ft). Dominica is the Nature Island of the Caribbean and by far 'The Nature Island of the World'. The Commonwealth of Dominica has an estimated population of 70,000. The capital of Dominica is Roseau. 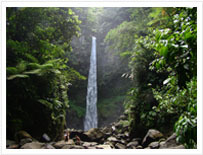 Dominica has been nicknamed the "Nature Isle of the Caribbean" for its seemingly unspoiled natural beauty. It is the youngest island in the Lesser Antilles, still being formed by geothermal-volcanic activity, as evidenced by the world's largest boiling lake. Dominica's natural ecological attractions which include tropical rain forests, mountains, rivers, lakes, wetlands, sunken volcanoes and UNESCO designated world heritage sites are second to none in the Caribbean. Dominica destination is among the top five for diving and snorkeling in the Caribbean. Our cultural heritage adds significant value to our product. 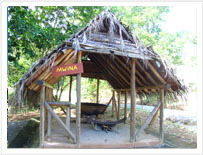 Our brand of tourism is unique but complimentary to the traditional Caribbean brand. Dominica is proud of its cultural heritage and every year, the celebration of the anniversary of our nation's independence takes the form of two months (September & October) of cultural events & competitions, exhibitions, artistic & culinary expositions, symposia and musical festivals. Fridays of October are reserved for the population to dress in traditional wear, culminating in the annual Creole Day at the end of October. Creole Day provides an opportunity for all Dominicans and visitors to display and wear creole dress, enjoy creole food and music. The highlight of the creole festivities is the staging of the famous World Creole Music Festival (WCMF) now in its fifteenth year. This year 2011 the festival will be staged from the 28th - 30th October providing patrons with three nights of pulsating Caribbean and Creole music. The lineup for this year is an exciting one including Headliners Jeff Joseph of Grammacks fame performing his Cadence hits from his catalogue covering 40 years; Jean Philippe Marthely and Jocelyn Beroard singing Zouk hits from their solo careers as well as hits from their Kassav repertoire; and New generation Haitian Compas stars Carimi. Reggae headliners include the 10-time Grammy-nominated Third World, English-born Jamaican reggae singer, Gyptian; and Ali Campbell, the legendary voice of the British reggae band, UB40. The festival has traditionally attracted patrons from all over the world to our shores and we invite the regular patrons but also new visitors to Dominica for this year's festival. Dominica has always been known for great hiking through very scenic landscapes and the Waitukubuli National Trail, the first cross country trail of its kind in the Caribbean, will provide hikers with an experience of Dominica's natural assets to compare with none. 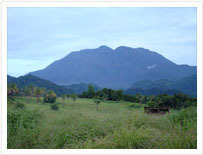 The Trail comprises fourteen distinct segments which run from the south to the northern tip of Dominica. The Trail can be hiked in its entirety or by segments and allows the hiker to experience not only the physical attributes of Dominica but al so the life of communities along the Trail. Dominica continues to add to and diversify its product offering both for stayover visitors and cruise passengers. To date, two exciting offerings are in the planning. Rain Forest Aerial Tram Dominica will debut a thrilling zip line this October, which will include the highest and longest zip line on the island. One of the island's top eco-adventure attractions, the Rain Forest Aerial Tram Dominica Park and its new zip line will help further position Dominica as a destination for pure nature and excitement. The six-platform zip line course will offer three adrenaline-pumping lines that glide through the rainforest canopy. . .